Are you trying to decide where to spend winter break this year? Wichita is a must-visit Midwest destination year-round, including plenty of attractions and events in December and January to plan the perfect winter vacation or winter getaway. 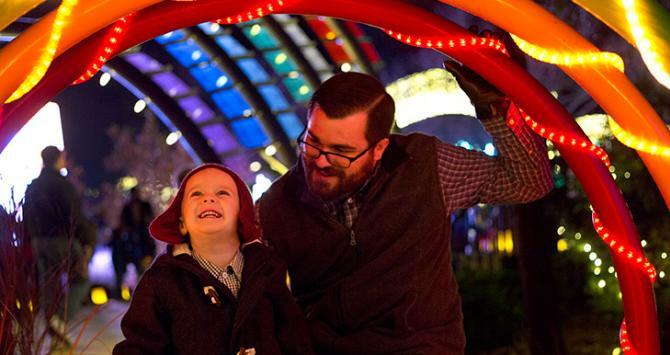 Museums – Wichita offers 33 cultural and historical museums from hands-on creative projects at the Wichita Art Museum to Botanica Wichita hosting Illuminations through New Year’s Eve to Exploration Place, currently featuring the national traveling exhibit Toytopia. Zoos and wildlife – Sedgwick County Zoo is the nation’s seventh largest zoo with more than 3,000 animals of all types, and Wichita also is home to the free Great Plains Nature Center, which includes some indoor exhibits and displays. Spectator sports – Catch a Wichita Thunder professional hockey game or the excitement of a Wichita State University basketball game. Sente: Games & Refreshments – This board game café has something for all ages and is a perfect place to escape the cold. Wichita Room Escape and The Room-Wichita – Use your creativity for an hour of fun, teamwork and excitement. The Arcade – Enjoy a retro arcade featuring games mostly from the 1980s and 1990s, along with pinball. The Alley Indoor Entertainment – From bowling and an arcade to challenging escape rooms, The Alley offers an all-in-one winter break experience perfect for all ages. All Star Sports & All Star Adventures – Go-karts, laser tag, arcade fun and more! Xtreme Racing – Race an Italian go-kart up to 45 miles per hour at Wichita’s largest indoor go-kart track. Bliss Climbing and Fitness – Whether you’re a rock-climbing guru or wanting to try it for the first time, Bliss Climbing offers a one-of-a-kind climbing experience. Wichita Sports Forum & Aviate – With six basketball courts, 10 hardwood volleyball and six sand volleyball courts, indoor soccer field, eight batting cages and a 32,000-square-foot trampoline park called “Aviate,” Wichita Sports Forum is the perfect place to get active this winter. Urban Air Trampoline Park – Burn off some energy at this 30,000-square-foot indoor trampoline park and family-fun center for all ages. Wichita Ice Center – Skate indoors with family and friends, or even take a lesson. Laser Quest – Get a group together and hit one of the largest laser tag facilities in Wichita. 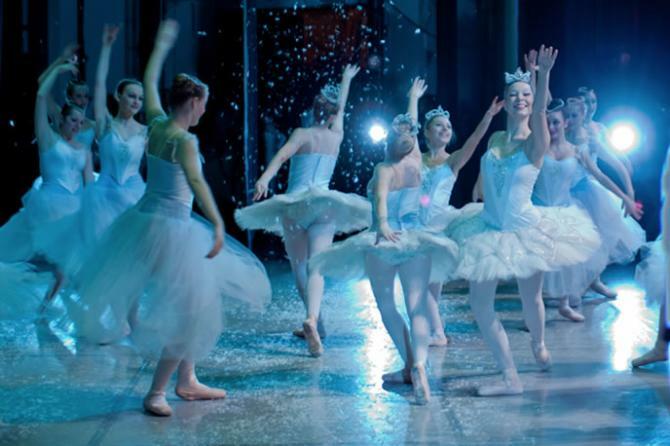 From holiday-themed events to sporting events to rock concerts and comedy shows, Wichita has something happening every night and for every taste. Some of the biggest December events are included in this blog post. 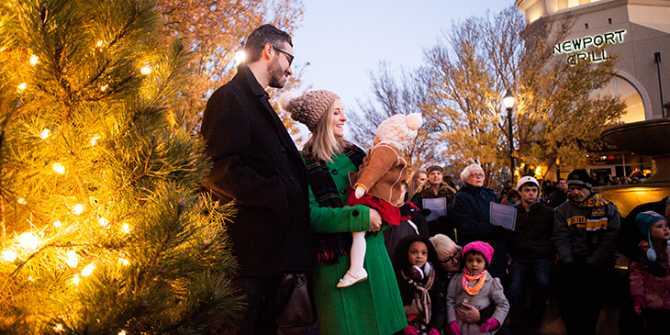 Learn about light tours, family-friendly events and other holiday events when you explore holidays in Wichita. Search our full event calendar for your specific dates. Wichita is an affordable destination, and we have ways for you to stretch your vacation dollars. 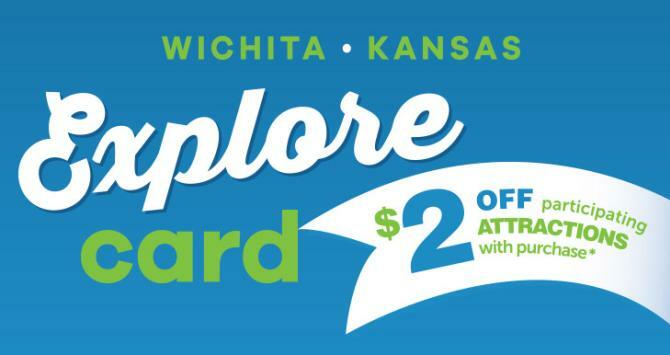 Save money in Wichita by picking up an Explore Card at any one of these 12 partners. To use the card, pay full price for each ticket at the first attraction you visit, then receive a $2 discount per person at any additional participating attractions. Take advantage of Visit Wichita’s Deals &apos;n Discounts from partnering restaurants, shops, hotels and attractions. Explore one of our itineraries or customize your own Wichita vacation with our Trip Planner.